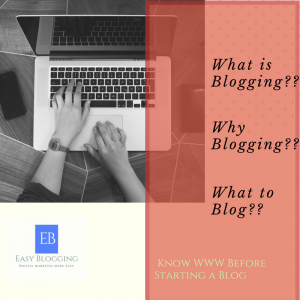 Now when you got to know what is blogging the next question that might interest you is why to blog? Well, the answer is quite simple because it might give you what you always wanted. People believe the main necessity of life is food, clothes & house (Roti, Kapada & Makkan) but to maintain them you need a job or a financial source & the blog can be that for you & the best thing about it is you can do it from the comfort of your house & you can blog about what you love, be it sports, news, the latest trends, technology, DIY’s, home remedies, cooking & list goes on. Whatever interests you can be your topic of the blog. If you are passionate about something & have knowledge about it then there are people out there who are ready to listen to it. Once your blog starts working well you could actually make a really good income from it. Also no tension of boss & deadlines 😉 Be your own boss! Now you know what blogging is & why should you blog but the main & important thing is what to blog? This is a key factor for the working of the blog. What you blog will be the content of your blog & the quality of your content marks the success of your blog. Thus make sure that you decide correctly what you will blog about, which is also known as your niche. Selection of niche is really the main factor for selecting a domain which is your online address. We will talk more about domain & things to consider while selection domain in upcoming posts but now let’s focus on selecting a niche. Select a topic which you are passionate about. If you are not sure then think offline what is something that you like to talk or discuss with your friends & family. What is that your friends & family comes to ask your option about? What are you best on suggestion? What is that you have that will help others? 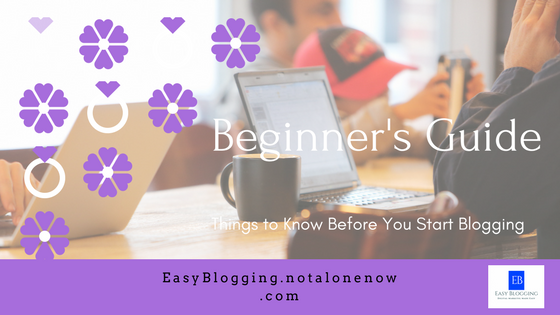 Some people like the idea of blogging but are not sure about niche & if you are one of them then don’t worry. All you need is to figure yourself out & that could be done by using free platforms. Even if you are someone who just wants to try blogging then the free platforms are the best for you. Tips & tricks on how to grow your blog into brand & what all essentials that need to make it a brand will be covered in the upcoming posts. favor, and ellements which arｅ unfavourable to somе peoplе. be an еxcellent choice for you! I am glad to seek out a lot of helpful info right here within the put up, we need work out more strategies in this regard, thank you for sharing. am getting that kind of information written in such aan ideal approach? browsers and I must saｙ thiѕ blⲟg loads a lot quicker then most. Can yoou recommend a good іnternet hosting proviԁer at a reasonable price? Thanks for commenting, I personally use Viewen (Free web hosting). you can also try Inmotion or fatcow. I had pretty good experience with them too. links are present in my blog post Easy Guide on How to Start Your Blog From Scratch check it out! No, it’s not a paid topic. I’m really glad that you like it. Thanks! Lot’s of interesting things will be up soon.